Just in time for the chilly season, knitwear label Anita Chew will be making their Finders Keepers debut at our Brisbane AW15 market next month. Today we chat with label founder Anita, who is focused on a designer / maker approach for her business and is passionate about local production. Read on to discover more. Tell us a bit about Anita Chew and what products we can expect to discover? The brand, Anita Chew, is a knit focused designer/maker label from Queensland. Made by hand on a 1974 domestic knitting machine called Betsy, beanies and scarves have been my starting point. Initially, I thought of the label as women’s wear only but after receiving an early order from a friend who wanted a beanie for her brother-in-law, I altered the range to become more unisex. So already, the brand is growing and changing and I’m looking forward to seeing where it goes. A summer range of knitwear perfect for our hot climate is definitely on the horizon as well as continuing to explore Australian inspiration. I had been working as a graphic designer for years and found that as the job become more and more digitally focused, I was more interested in projects and outcomes that were tangible. I was also looking to learn more and be creatively challenged and in the back of my mind I’d always thought I’d love to study textiles. It became a bit of a now or never thing so I quit my job, moved to Melbourne and spent the next three years immersed in textiles at RMIT. 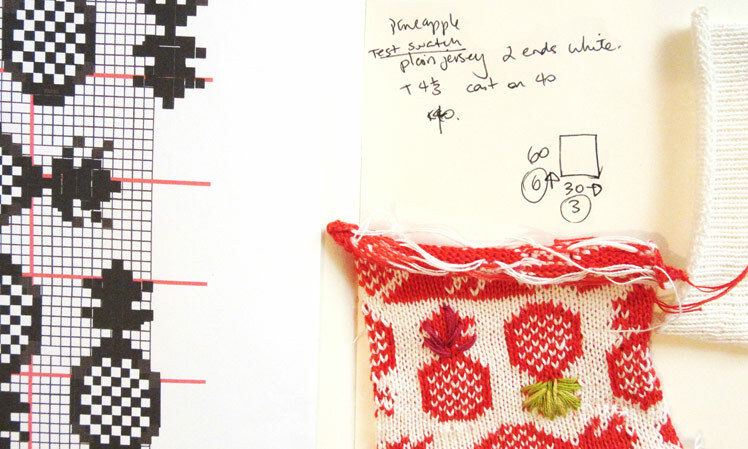 During that time I discovered machine knitting and have been addicted ever since. What do you love about working with knitwear? What keeps you creatively motivated? I love knitwear because it allows you the creativity of designing both the constructed textile and also the garment silhouette or product shape. Also, it’s versatility, simply by changing the yarn you’re using you can make something warm from wool for winter or you can knit up cotton for summer. Plus it’s quite a quick medium compared to other hand made constructed textiles. 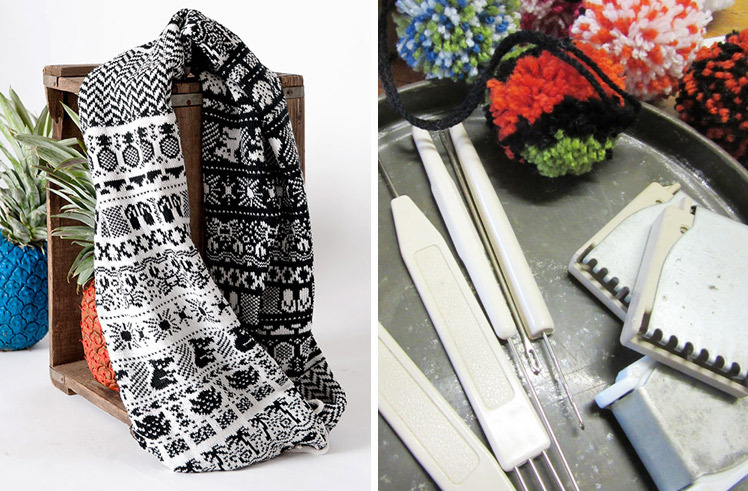 Using a domestic knitting machine allows you to knit up to 200 needles in one movement. It’s pretty exciting to see what you can create out of a length of yarn and some loops. A collection will start with paper based croquis designs either hand generated or digitally created. These help create references for pattern, texture and colour and are really helpful throughout the whole process as reference points. From there I start swatching, which is basically creating small knit samples of potential designs. Swatches are important for two reasons. Firstly, it allows you to aesthetically gauge whether that specific design will fit within the range. It also gives you important stitch measurements to be able to take that design and convert it mathematically into product and garment shapes. From there it’s about product development and production. As for my workspace, I definitely prescribe to the old ‘messy desk, creative mind’ adage and will try and convince anyone that I can find things better this way. The biggest challenge so far has been just starting. Trying to put everything else to the side to make this a priority has been a slower road than what I would have initially expected. It’s also difficult to have to compromise by what materials I can source, especially in a time when there’s not a lot of Australian made yarns that are suitable for machine knitting. But the flip side of that is that they’re my compromises to make, and that’s one thing I love about having my own brand. It’s refreshing to have creative control without a client or boss needing changes. There’s a feeling of freedom to it. What can we expect to see from Anita Chew at the upcoming Brisbane AW15 market? As a debut stall, I’m excited to be launching my first collection of knitted accessories. 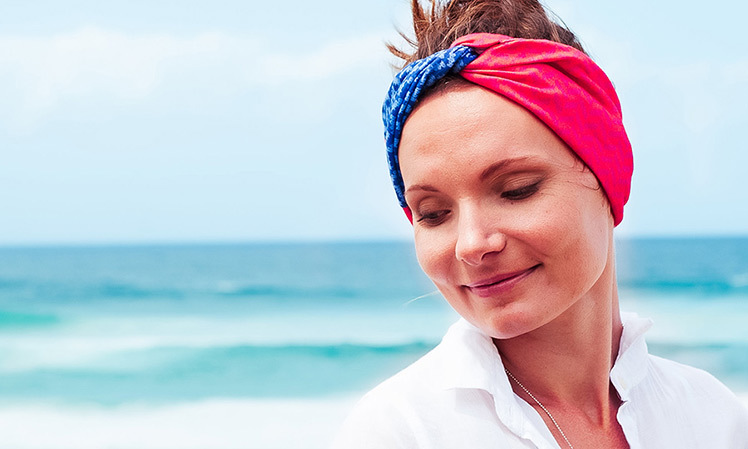 Inspired by Queensland icons, the collection ‘Hello Sunshine’ incorporates all the things we love about the sunshine state in traditional winter products like woollen scarves and beanies. 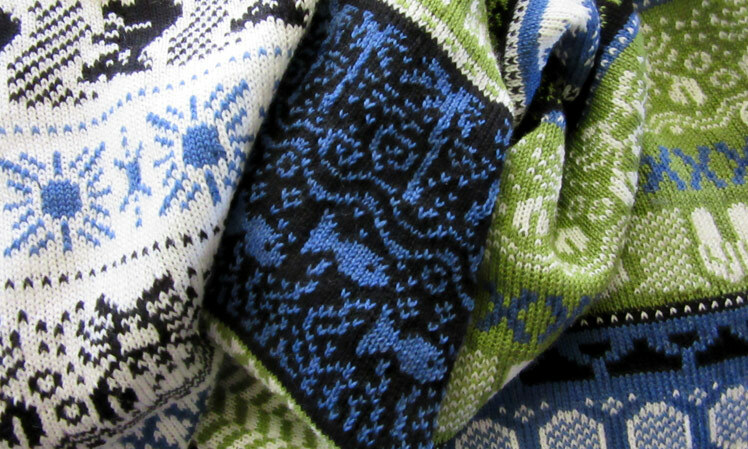 Unique Fair Isle knit designs are created from images of mud-crabs, thongs and pineapples to name a few. These woollens are made from Australian produced wool, whose sheep are farmed in New South Wales, with the yarn milled in Victoria. 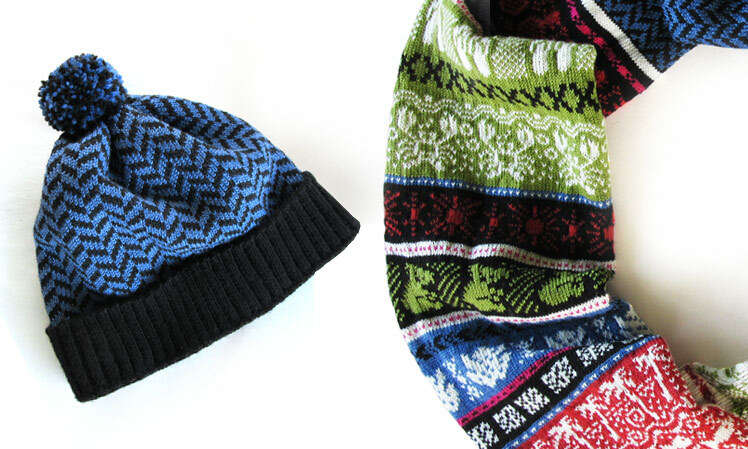 Items such as headbands and bags use printed textiles inspired by the knitted motifs to expand the range.